Amid reports of gun fire during the third consecutive day of clashes in Northern Ireland, a man has been arrested for attempted murder of a police officer. Police deployed water cannons against protesters who were throwing bricks and smoke bombs. At least one officer was injured and several people arrested during Saturday's disturbances, police said. The new wave of rioting on Saturday followed a largely peaceful demonstration earlier by more than 1,000 people outside Belfast city hall. The demonstrations were prompted by a December 3 decision which limits the number of days the British flag will be flown at City Hall. The Council has voted to fly the Union Jack only on 18 designated days rather than year-round. “Police have come under sustained attack from crowds of up to 300 people using fireworks, bricks and petrol bombs. 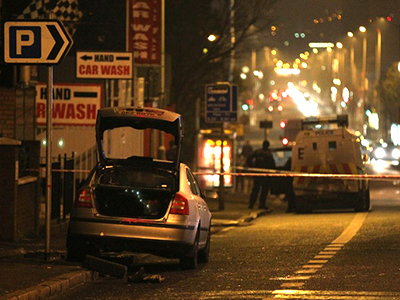 Water cannon had been deployed to the scene,” a Police Service of Northern Ireland spokesperson told AFP. 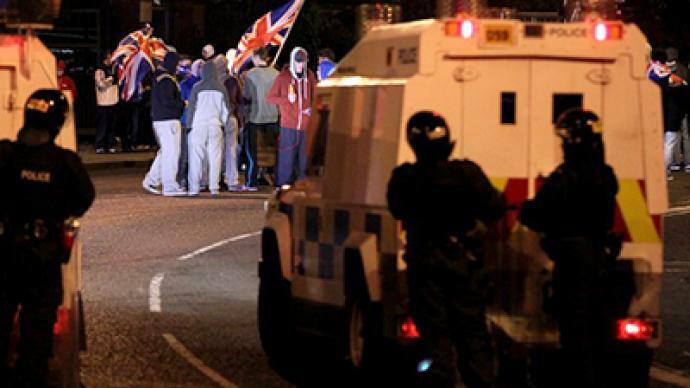 Rioters reportedly threw more than 30 petrol bombs at officers, along with ball bearings, fireworks and bricks, as police responded to clashes on Thursday night in Protestant sections of Belfast. 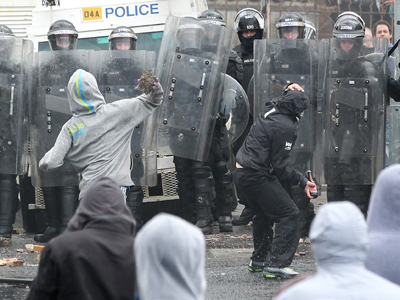 Ten officers were injured in east Belfast during a similar demonstration. “Those responsible are doing a grave disservice to the cause they claim to espouse and are playing into the hands of those dissident groups who would seek to exploit every opportunity to further their terror aims,” AFP quoted Robinson as saying. 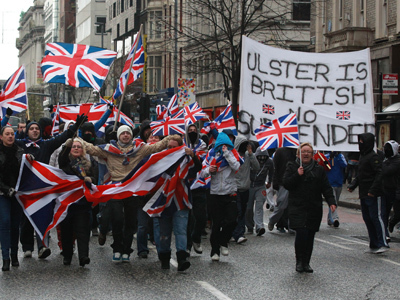 Several protests by pro-British unionists took place in December, some of which were also marred by clashes. Jason Walsh of the Christian Science Monitor told RT that the Council’s decision was reflective of demographic changes in the city, as Belfast now has a slight Catholic majority. These changes, rather than the actual flying of the flag, are what bothers loyalists the most, as the move “simply brings [Belfast] in line with other British government and civic buildings” across the UK, he said.